A great bit of kit for the summer holidays–and it looks just like a proper expedition hat! 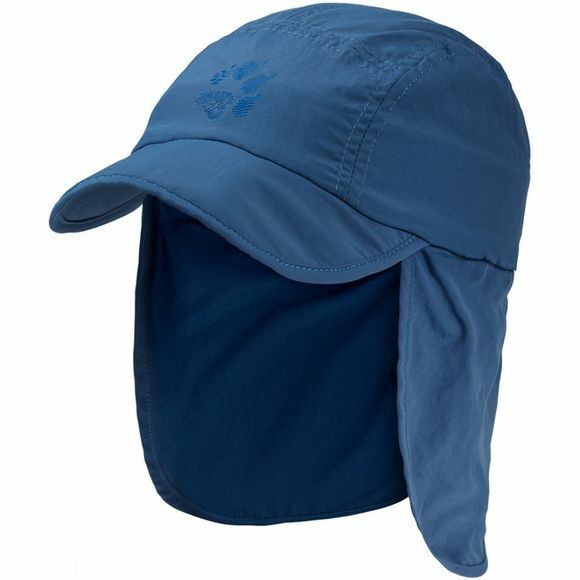 The Girls Kids Supplex Canyon Cap shields your child's head and neck from the sun and the fabric itself has a high UV protection factor. This lightweight peaked cap has a long neck protector and is made of an airy nylon fabric that feels pleasant to wear and dries quickly.